The result is a slightly distorted sphere with an interior landscape of satellite shapes, including an opaque milk glass diffuser that houses either a low-voltage xenon or LED lamp. 28’s may be suspended using coaxial cable in hexagonal clusters, composed in ambient groupings, or mounted using a specialised copper tube suspension system. 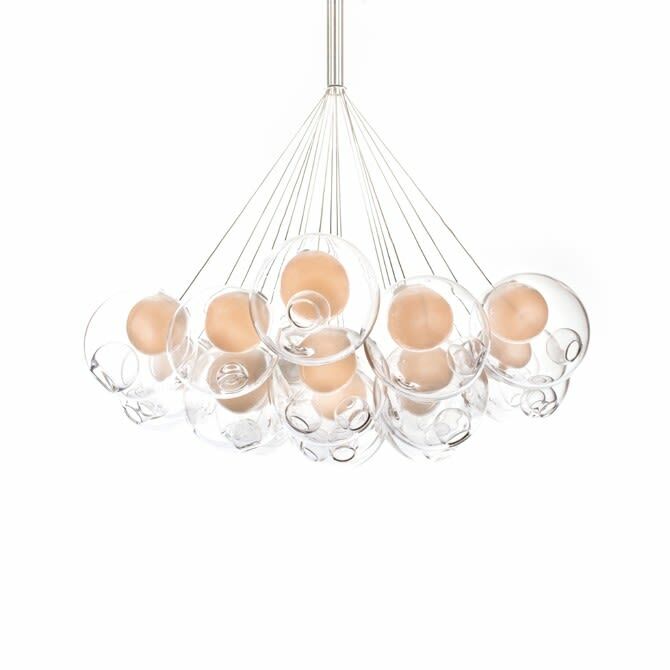 Standard 28 pendants are made with clear glass exterior spheres and milk white diffusers. Custom 28’s can be crafted in near-infinite colour variations. Use Bocci's configurator to choose your composition then contact Clippings Concierge to place your order.